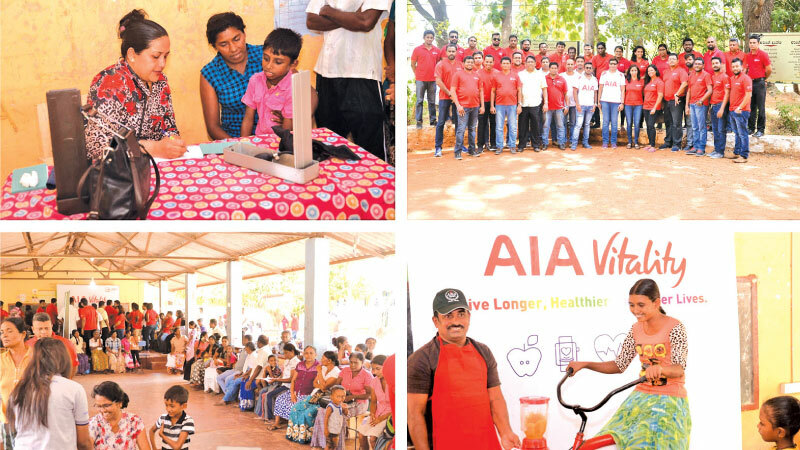 AIA in partnership with Asiri Surgical Hospital conducted a Health Camp at the Ehetuwewa Maha Vidyalaya in Anuradhapura recently, where approximately 200 schoolchildren, their parents and the community gathered for a day of health checks and advice on health and wellness. Medical testing and physical examinations were carried out, with focus on Serum creatinine and Urine micro albumin, since Kidney related issues are prevalent in the region. There were a few critical medical issues that were identified in both adults and children, all those affected were advised on the necessary course of medical treatment. Medical professionals also carried out awareness sessions on healthy lifestyle and dietary habits, including advice on exercise and physical activity, practice of good hygiene and tips for planning, enjoying and sticking to a healthy diet.